April is always a busy month when you factor in school holidays, Easter and ANZAC Day. 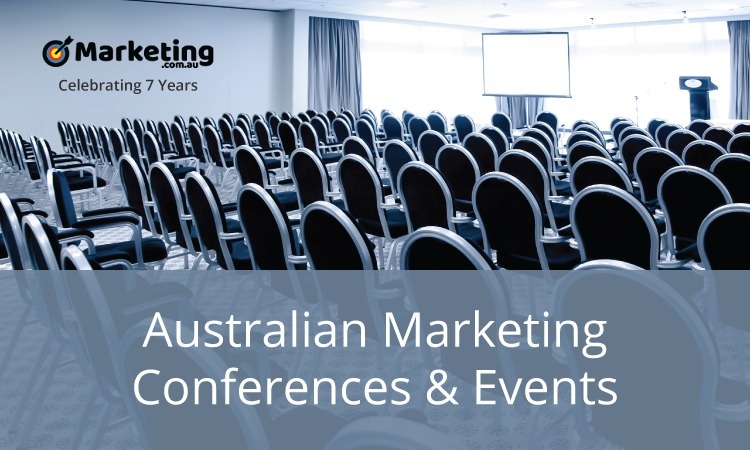 However, there are still some insightful, educational and informative marketing events happening right around Australia this month. Here’s your monthly round up from the Marketing.com.au team! In this 3 day UX course, learn how to implement UX tools and methodologies and design principles for designing great experiences. Work through a case study with practical, hands-on activities and exercises to accompany the latest theoretical insights. Whether you want to sharpen your UX design skills or are a BA, developer, product manager, visual designer or marketer wanting to move into UX, accelerate your UX journey with one of Australia’s top UX practitioners and trainers, Tania Lang. Big Digital Adelaide is back in 2019, amping up the Adelaide conference scene again with world-class speakers, a world-class venue and world-class food. It’s a world-class event! Indulge your inner geek as we immerse ourselves in Adelaide’s uniquely enticing food culture for a digital marketing conference born in the heart of South Australia. Start your Big Digital experience with a full-day workshop that allows you to dig deep into your search marketing topic of choice. Then spend two days learning every aspect of search engine optimisation (SEO), paid search tactics and tools, social media marketing, blogging and content development, and a dozen other topics that will help you step up your online results in 2019. Connect with speakers and attendees who are genuine experts. Whether you need to learn how to glam up your site on a shoestring, or lock down your WordPress security, understand keyword research, learn to write copy that converts, discover the mysteries of remarketing, or connect with your brand in a way that moves customers as much as your employees, you’ll find it at Big Digital Adelaide. Data Day is back in its 15th consecutive year to bring you the leading minds in marketing, digital, data and analytics to showcase the data strategies delivering real success at the world’s biggest brands. It will deliver a unique opportunity for aspiring marketers to learn from the top industry leaders and take away practical insights to help drive data and marketing excellence.